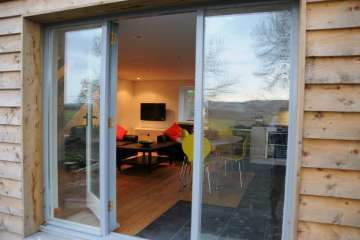 Get away to the best of mid-Wales in this charming holiday cottage with a stylish interior and stunning country views. 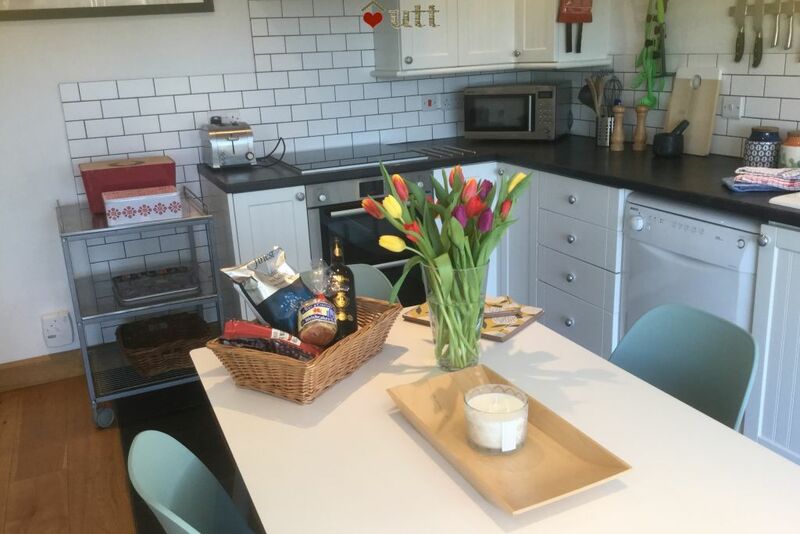 Perfect weekend cottage for couples looking for peace and quiet! 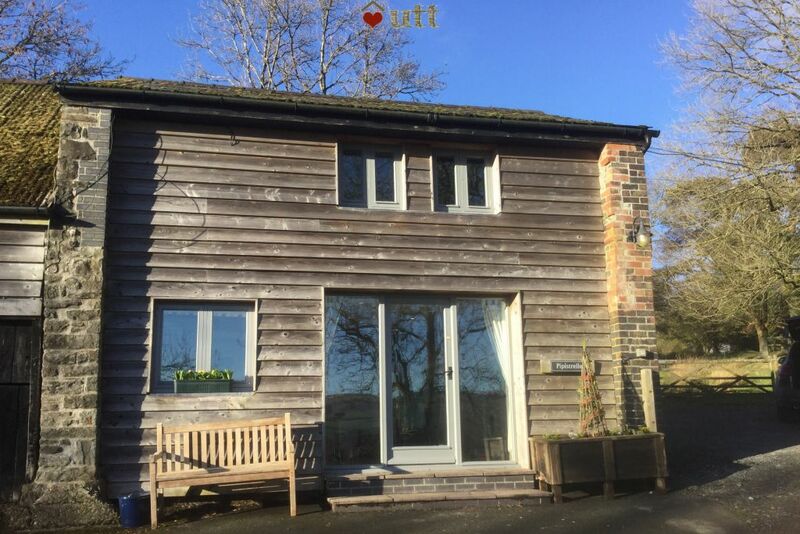 This former coach house is nestled in the beautiful rolling hills of Powys, with uninterrupted views of Mynydd Epynt and the Brecon Beacons. 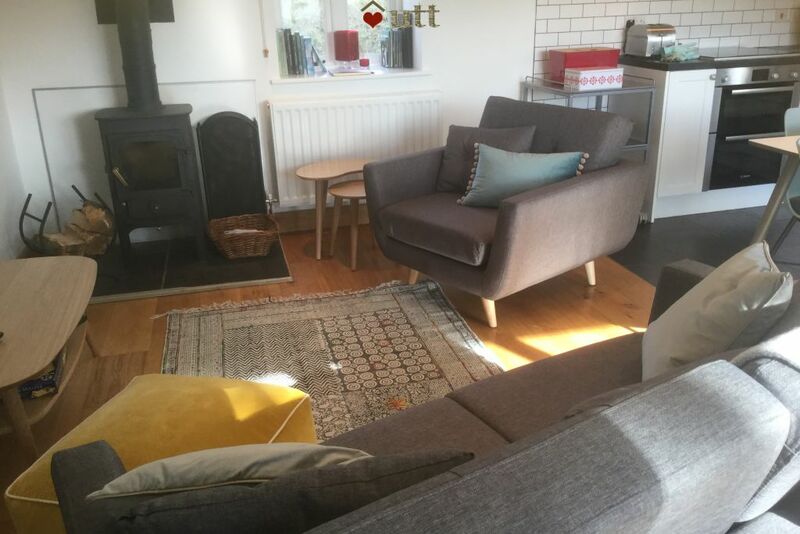 Bwthyn Beulah is a charming bolt hole with a contemporary feel, offering stylish, comfortable accommodation for a couple with a baby/small children; well-behaved dogs are also welcome. 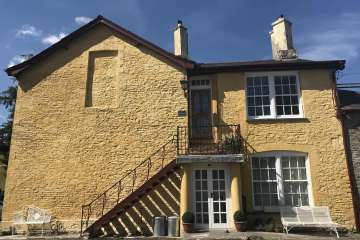 In a secluded location, surrounded by stunning scenery, the cottage is close to local amenities, including pubs, cinema and arts centre. 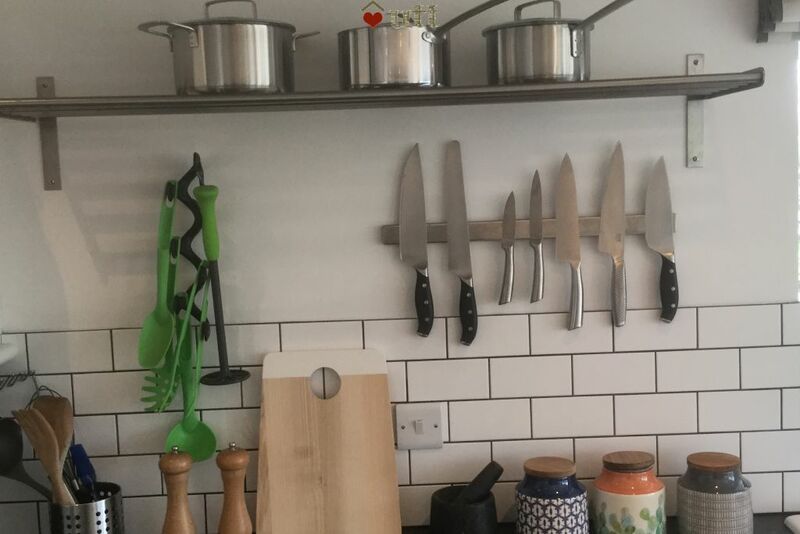 The cottage is perfectly located for the Brecon Beacons National Park and the many outdoor activities it has to offer - cycling, walking, wild swimming, canoeing and kayaking, fishing, bird-watching, canal boats, paragliding and more. The stunning scenery of the Elan Valley is a short drive away. Garth Station, on the Heart of Wales Line, provides easy access by rail. There are eight acres of privately owned grounds to explore (filled with lambs in the spring months). Owls, buzzards, red kites and a myriad of wildlife find their homes on the doorstep. 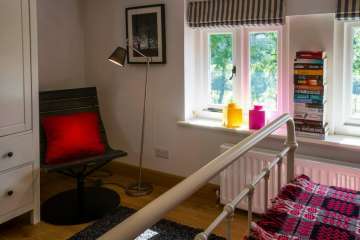 Bwthyn Beulah is ideally situated for visitors to the Royal Welsh Showground in Builth Wells, the Hay Festival of Literature and the Arts, the Brecon Jazz Festival, the Presteigne Festival of Music and the Arts and much, much more. Cardiff, with its extensive shopping and museums, art galleries and the beautiful Millennium Centre is only an hour away. Garth Station of the Hearth of Wales Line provides convenient access by rail. 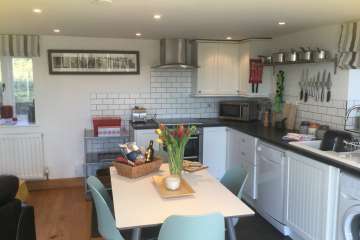 Kitchen area: electric oven and hob, fridge with ice box, microwave, washer/dryer, dishwasher, a blender and coffee machine. Living area: comfortable sofa and armchair, large flat-screen television with full FreeSat, and Blu-ray DVD player, DAB radio, Wi-Fi and a large collection of DVDs and CDs. Baby-friendly: Changing mat, cot, high-chair, available. 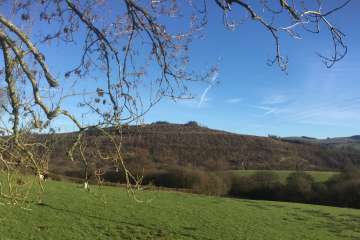 Eight acres of privately owned surrounding fields (filled with lambs in the spring months). Barbecue and fire pit provided. 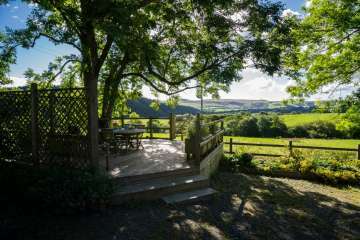 The Brecon Beacons and the myriad of outdoor activities that the National Park has to offer - horse riding, cycling, walking, wild swimming, canoeing and kayaking, fishing, bird-watching, canal boats, paragliding – and much, much more. The market town of Builth Wells and the Royal Welsh Showground is a 15-minute drive away. 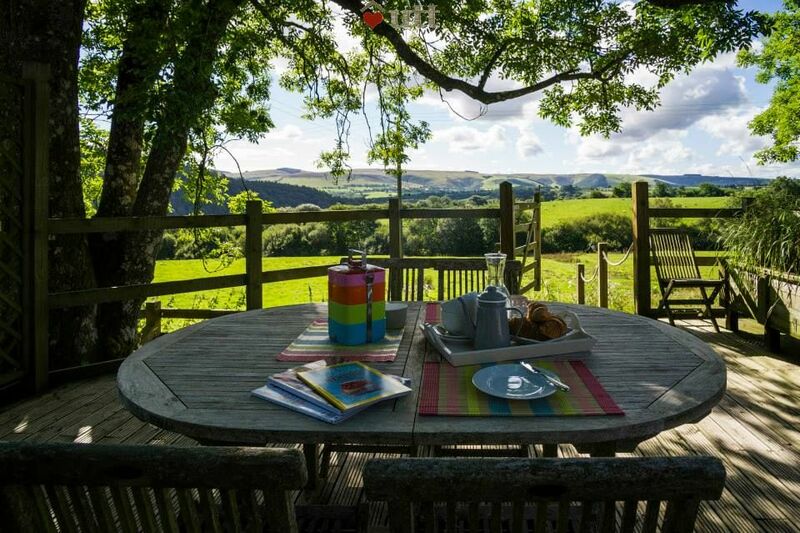 The beautiful west coast, with its peaceful beaches, is an hour’s drive west, and Hay-on-Wye, with its famous second-hand bookshops, is within 30 minutes drive. 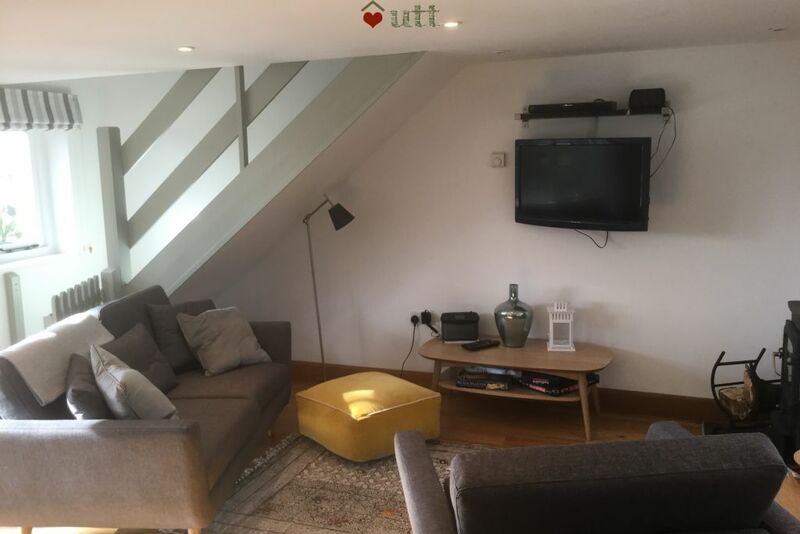 Cardiff is just over an hour’s drive south, with its beautiful Millennium Centre for great opera or concerts, good shopping, and the redeveloped Cardiff Bay area with all its restaurants and views over the water. 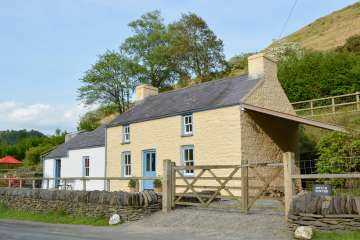 The Llyn Brianne reservoir and the Elan Valley are both less than 30 minutes’ drive away. The green hills of the Upper Wye Valley, Mid Wales..
Brecon Beacons National Park, South Wales.. 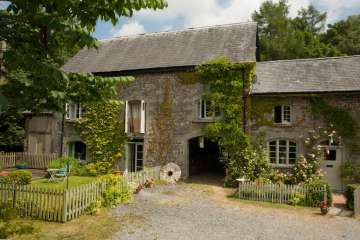 The Hafod Estate, Pont-Rhyd-y-Groes, Mid Wales..
the best of rural Carmarthenshire, with amazing vi..
Silian, on the outskirts of Lampeter town, 15 minu..
Beautiful cottage, really light, airy and warm. Lovely views from the living room and from the lower deck. Very well equipped,and would be great for a longer stay as it has washing machine and dishwasher. Drive down to the cottage is bumpy, so take it slowly! Welcome basket was a nice touch, especially the Halloween themed parts. 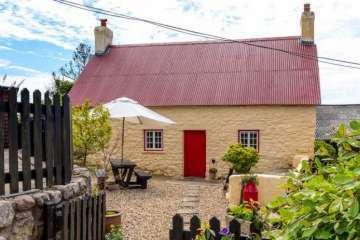 Thoroughly enjoyed our stay at this lovely cottage. Very comfortable and lots of places to explore. Ideal for walks, hikes and bike rides, and a cozy fire in the evening. We had a lovely time at this perfectly situated cottage. 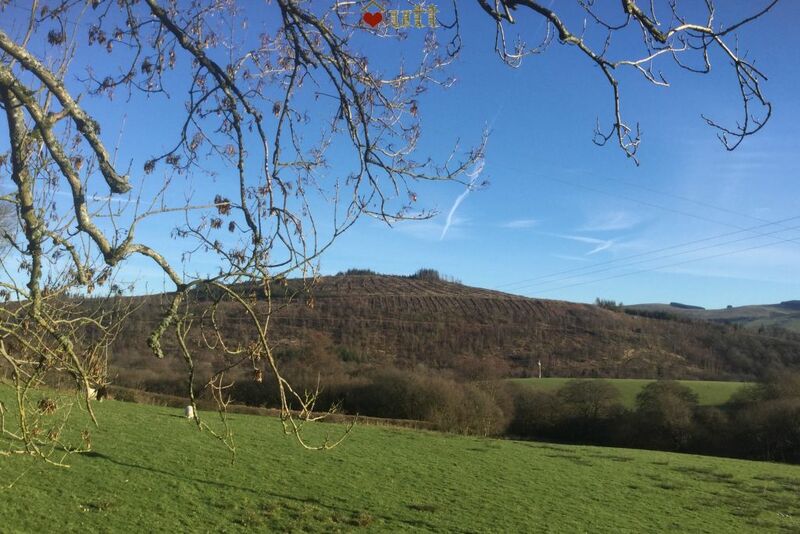 Savouring a couple of quiet days away from a busy family life, we headed for the hills, enjoyed long walks, took deep breathes as we stared at magnificent views, slept well and chatted over breakfast. A rare treat! Beautiful weekend away in this cosy , well equipped small barn conversion. 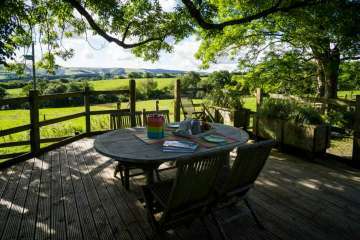 The views are outstanding , surrounded by rolling hills and wildlife. Perfect for a couple and your 4 legged friend. Absolutely lovely cottage - perfectly appointed with all home comforts, in a wonderfully peaceful rural location. Will definitely be back. 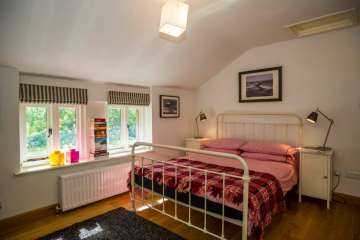 Lovely, clean fully equipped cottage in a beautiful peaceful location. Lovely welcome pack, thank you. Lovely cottage with all the amenities. Very relaxing break. Our expectations were more than met by this delightful barn conversion. 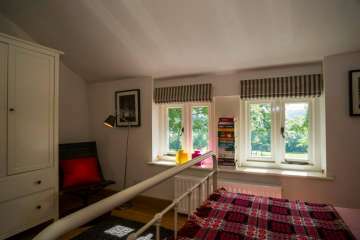 It's the perfect getaway for 2 and has everything one could need for a comfy stay, whatever the season. It's setting is idyllic, tucked away down a long farm track with amazing views. It also featured the best welcome pack we have ever had - anywhere! Would definitely recommend! 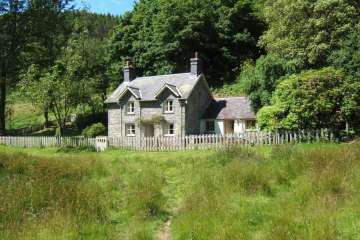 Perfect secluded cottage for a couple (also caters for a baby). Deck area commands a wonderful view of fields hills stretching to Mynydd Epynt. Facilities good, lovely welcome pack wine and snacks, bed very comfortable. Access allowed into fields to the front and rear of property. Peaceful and relaxing with just the sound of the sheep and the birds. Would definitely recommend. 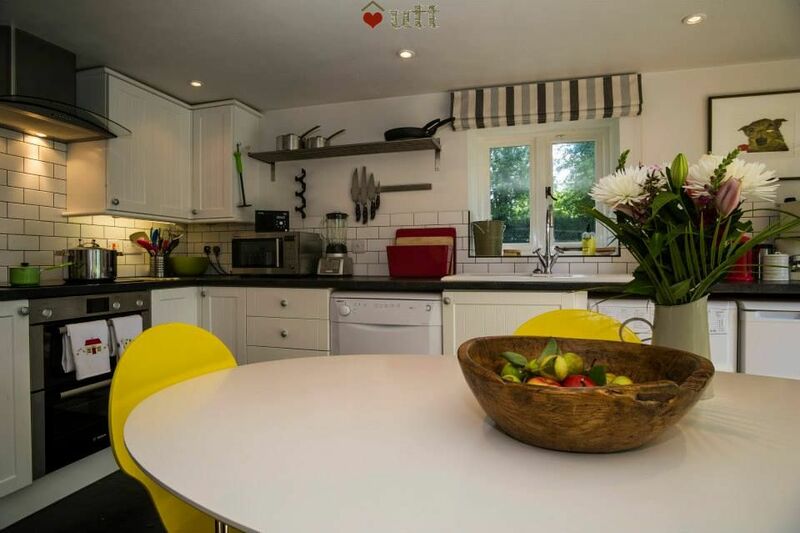 Great little holiday home for two (and a dog). Nice walks, plenty of local history thereabouts, and a cosy time spent indoors over the weekend. Thanks so much for the fab little welcome pack as well! We had a really lovely time in an amazingly peaceful cottage. We saw more pheasants than people during our 4 days in mid wales which suited us just fine. We will definitely return to this cosy oasis of calm.